People posted this article at their webpage. 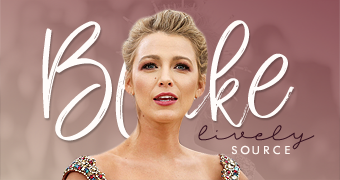 Blake Lively says she’s not much like her Gossip Girl character, the socialite-in-training Serena van der Woodsen, except in one respect – she wants to be a good person amid all the drama of her situation. There may be a couple of other similarities, too. “We both giggle a lot. We look alike,” she adds. Staying grounded is important now that Lively is beginning to get recognized on the streets – and not just by the stereotypical Gossip Girl demographic. Still, though she’s quite becoming a star, Lively shares one particular passion with seemingly every other young person in America: She’s a “Guitar Hero” fanatic – so much so that the Gossip Girl writers had Serena play the video game on the show. I just found this litlle interview over at The Canadian Press. NEW YORK – Wide-eyed teens excitedly watch as “Gossip Girl” star Blake Lively films a scene with co-star Penn Badgley. Take after take in New York’s Stuyvesant Park – a perfect setting with its stately gates and statues – the youthful onlookers linger on this cold autumn day, providing some evidence that the low-rated CW series holds interest for its target demo: BlackBerry-holding, DVR-using Gen-Yers. Lively, who got her big break as a soccer-loving teen in 2005’s “The Sisterhood of the Traveling Pants,” plays Serena van der Woodsen on the glossy soap, based on the popular young-adult novels about rich Manhattan private school kids whose scandals and trysts are dishy fodder for an anonymous blogger.